Check out the interview Timothy David Orme did with me for Edge of Frame. Click here. Picture Particles will be screened at Lyon International Film Festival [France] in January. Energie! will be screened at Kontrast Filmfest in Bayreuth [Germany] in February. Picture Particles will be screened at Cortex [Portugal] in February. Here’s a brief interview I did a while ago with The European Independent Film Channel. Picture Particles will be screened at Intermediations in Cali [Colombia] and at Locomoción in Mexico City [Mexico] in November. 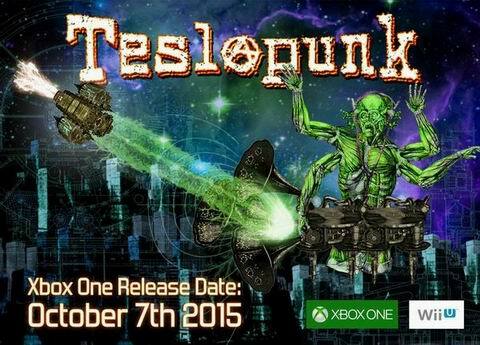 Teslapunk will be released October 7th for the Xbox One. Transterritorial Underground Film Festival will host a retrospective of my work in Buenos Aires [Argentina] in September. Picture Particles will be screened at Lausanne Underground Film & Music Festival [Switzerland] in October. Picture Particles will be screened at Festival de Cine Experimental de Bogotá / CineAutopsia [Colombia] in September.